"Ideal warm up tackle if your into your slower grooves and a cool bit of music in it's own right for all occasions"
Pitched down house music is firmly on the agenda this month. 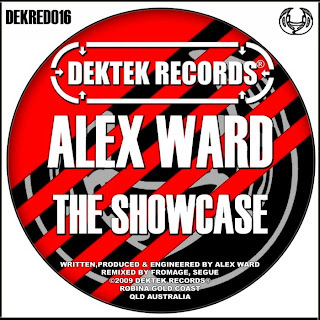 This release is by Alex Ward and it features a great remix from Fromage on Brisbane's Dektek Records. The tempo is on the more relaxed tip. Ideal warm up tackle if your into your slower grooves and a cool bit of music in it's own right for all occasions. Get your hands on this beauty from the following places where you'll find it available for purchase at a higher bit rate, ideal for impressing your dance floor when it's time for a bit of slow burn action through your speaker stacks.